Feeling The Vibes: The Short History Of A Long Instrument Jazz is the only genre of music that uses the vibes as a lead or improvisational instrument. It's been a process in helping to save this beautiful-sounding and versatile instrument from extinction. 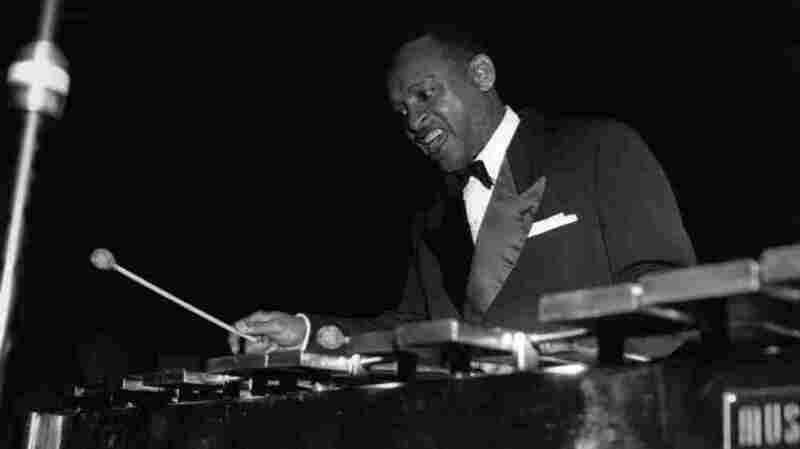 Leading off with Lionel Hampton, here are five examples of that beauty and versatility. Lionel Hampton was the first musician to use the vibraphone on a jazz recording. The legend goes like this: In 1930, jazz drummer Lionel Hampton was performing a gig at the NBC studios. In those days, and for a long time to come, the sound that identified NBC was three notes (G-E-C) on the vibraphone; naturally, there was a vibraphone in the studio. After his gig was over, Hampton started messing with the instrument and became fascinated by it. Shortly thereafter, Hampton brought "the vibes" — as the instrument is now commonly called — to a recording session with Louis Armstrong. Their version of "Memories of You" is the first known jazz recording to incorporate the vibraphone. And jazz has been using the vibes like crazy ever since. Jazz, in fact, is the only genre of music that uses the vibes as a lead or improvisational instrument, in the process helping to save this beautiful-sounding and versatile instrument from extinction. What follows are five examples of that beauty and versatility. For more entries in NPR Music's weekly Take Five: A Weekly Jazz Sampler series, click here. Lionel Hampton has recorded his classic song "Flying Home" a number of times. Other versions tend to feature other musicians, but this one is pretty much all Hampton — as it should be. When it comes to vibes in jazz, he's the man who started it all, and who shared his gift and his joy with generations of jazz lovers throughout his 70-year career as a bandleader. When Milt "Bags" Jackson came on the jazz scene, Lionel Hampton had already established the vibes as a viable jazz instrument. 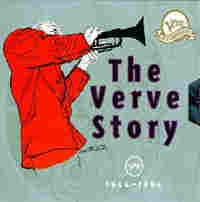 But Jackson's contribution to the history of vibes in jazz is as important as Hampton's. Jackson's body of work with The Modern Jazz Quartet (which originally recorded "Bags' Groove") is staggering and immortal. Here, though, we'll hear Jackson play his signature piece with an all-star band led by Miles Davis. It's a delight to hear Jackson in the company of these musicians, and this recording is absolutely littered with treats, including a wonderfully playful piano solo by Thelonious Monk. When Lionel Hampton brought the vibes to jazz, he also brought blues and soul to the vibes. With The Modern Jazz Quartet, Milt Jackson melded his blues and jazz influences with the classical-music background of MJQ co-founder John Lewis. 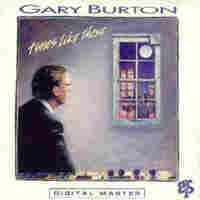 When Gary Burton came along in the early 1960s, he upped the ante by fusing jazz vibes with country and rock elements, while also retaining blues and classical influences. Burton was also the first vibes player to make extensive use of four mallets (two in each hand), as opposed to the two-mallet technique of his predecessors. Ever since his Duster recording with Larry Coryell in 1967, Burton has also been known for his excellent taste in guitarists. "Times Like These" continues that streak with a notable appearance by John Scofield. Bobby Hutcherson is a jazz musician who covers all the bases. He's respected for his compositional skills as well as his superb musicianship, and he sounds at home in all styles of jazz, from blues to avant-garde. When Hutcherson arrived in New York in the early 1960s, he threw himself into the company of some of the most forward-thinking jazz musicians of the time, including Eric Dolphy, Archie Shepp and Herbie Hancock. 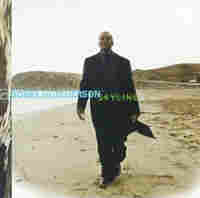 Years later, on a 1999 release called Skyline, Hutcherson offered up a wonderful interpretation of a song written by one of those early colleagues: "Chan's Song" by Herbie Hancock. 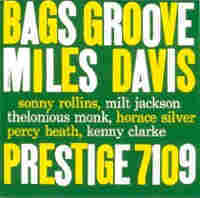 The Modern Jazz Quartet, with Milt Jackson, blazed the trail for using vibes in the fusion of classical music and jazz. In this piece, the youngest vibes player on this list, Stefon Harris, carries that tradition forward with The Classical Jazz Quartet in their gorgeous arrangement of J.S. Bach's "Jesu, Joy of Man's Desiring," written by Bach during his "Weimer period" in the early 1700s. 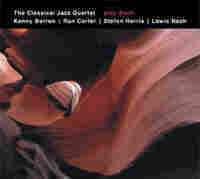 The Classical Jazz Quartet also features Kenny Barron on piano, Lewis Nash on drums and Ron Carter on bass, all ably assisted by producer and arranger Bob Belden.